I recently had the honor of attending the Qualtrics X4 Summit in Salt Lake City, UT, at the beautiful Salt Palace Convention Center. It was my first time attending, but hopefully not my last. I wasn’t sure what to expect from the Summit, there were many famous speakers, and more than enough fascinating sessions to attend. What I didn’t expect, is how I would feel about the experience after attending, or better yet, how I’d feel about the experience while attending. It’s hard to describe, but something about the music, which by the way, seemed to be coming from a ‘strategically‘-placed DJ in every single session room, kept the pace, flow and attitude of the entire Summit upbeat and rocking. This, combined with the quality and skill of the keynote speakers, the sheer layout and setup of sessions throughout the Convention Center, easily made the X4 experience the coolest I’ve ever taken part of in my professional career, hands down. It was as if someone put a wedding reception, a networking event, the cool class you took in college, and a rock concert in a blender. Now, those of you who know my X4 story may say I am biased, so let me get it out of the way. Yes, I did exchange emails with Arianna Huffington after hearing her speak; and yes, I was handed a new, Tony Hawk-signed skateboard by a member of the Qualtrics Dream Team. But I’d add, these types of experiences seemed to be happening everywhere I looked during the Summit. I saw people meeting a keynote speaker and getting their picture taken. I saw people making connections under the basketball hoop or near the Porsches on display. I even saw a pregnant woman gifted with a recliner so she could listen to the Keynote speakers in comfort. Personally, I got to sit down with my clients and talk business, while also discussing whether or not to hit on a hard 14 in Blackjack. All fabulous experiences. The point is, the experience is what mattered. It’s what we are left feeling after or while experiencing something. So, yes, I was given a skateboard, but what I didn’t mention is that the guy who handed it to me ran back to his office from where he was already going, just for me. It took 4 or 5 minutes, but he came running back and handed me, with a smile of pride in a job well done, a new signed Tony Hawk skateboard. The effort and behavior went a long way with me. I had only asked him where people had gotten the skateboards I had seen under a few other people’s arms, of which he had under his own arm for others. But, it was the effort, not the gift. He could have ran and gotten me a ham sandwich and I would still have been left with the same delighted feeling. Yes, receiving a ham sandwich probably wouldn’t have left me quite the same feeling I got from all the attention one gets from toting around such an item, with all the people asking ‘where did you get THAT?’ But again, the experience is what I am left remembering, not the item, or sandwich. And it’s this kind of mindset, focusing on a person’s experience that we are trying to help our clients understand in terms of experience management. Yes, it comes in terms of managing detractor ticket alerts, wait times, good customer service, and how you speak and interact with your customers, employees, fans, or clients, but it’s all about the experience you give them and how you make them feel. Now, I realize not every company has millions of dollars to spend on getting a rope-less psychotic rock-climber to come speak about his mental balance of focus and fear at 1500 ft. to a bunch of business heads, survey gurus, and stats nerds; but the idea, theory, and strategy behind creating and offering the great experience of hearing him speak and sharing his stories to the Summit attendees served as a reminder of what we are all trying to achieve in our individual businesses or scenarios. Whether it be internally with our own employees, or with our customers, members, guests, clients, or fans; we all want to provide a great experience. It’s about making the effort, it’s about the intent, and yes, it’s definitely about the execution. But the tools are out there, it’s just a matter of going out and picking them up and utilizing them. Through our partnership, Qualtrics and CX Solutions can help with that. Forget ‘omni.’ Just help me. Lost in a Sea of Big Data? 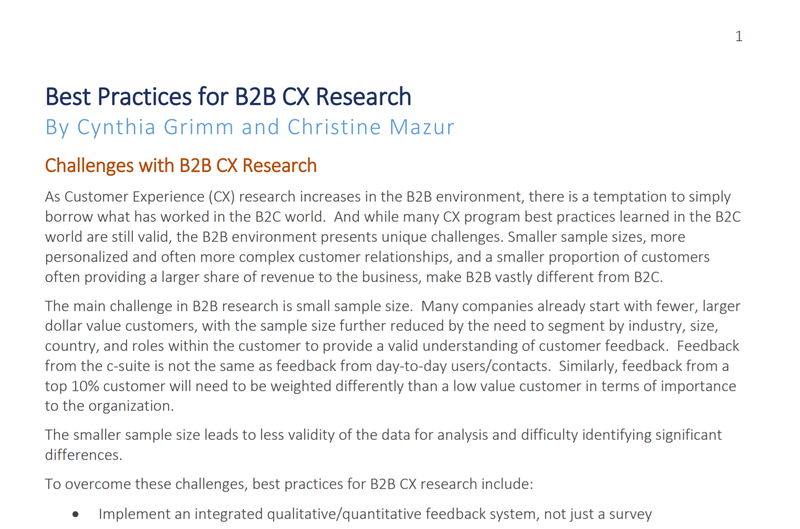 Technology Alone Won’t Solve your CX Problem! 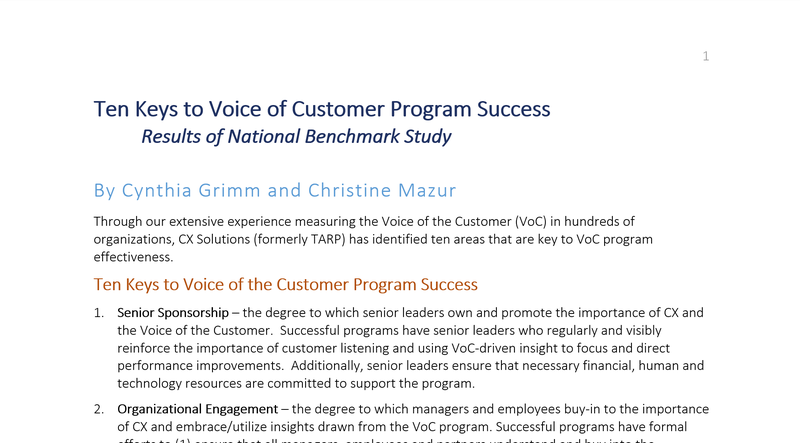 How Good is Your Voice of the Customer Program? Copyright © 2015 by CX Solutions. All rights reserved.